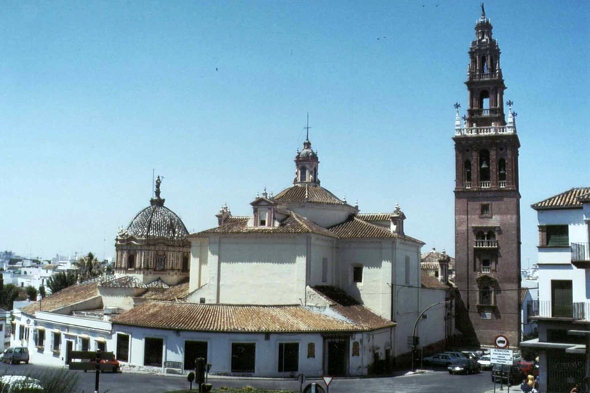 Carmona, at 30 km in the northeast of Seville, stands at the top of a headland. It was at first a Roman city, then Visigoth and Moorish, before being taken by Ferdinand. Carmona has a mudéjar palace and a modern parador of mudéjar style, inside its surrounding wall enclosure.